Brilliantly simple and simply brilliant: MOVIMOT®, the sleek combination of a gearmotor and a digital frequency inverter with a power range from 0.37 kW to 4.0 kW. Flexible application thanks to the IP54 degree of protection; also available with IP55, IP65 or IP66. Your proven path to decentralized drive technology: MOVIMOT®, a combination of a gearmotor and a digital frequency inverter. Available in all designs and mounting positions of our standard gearmotors, with or without a brake. 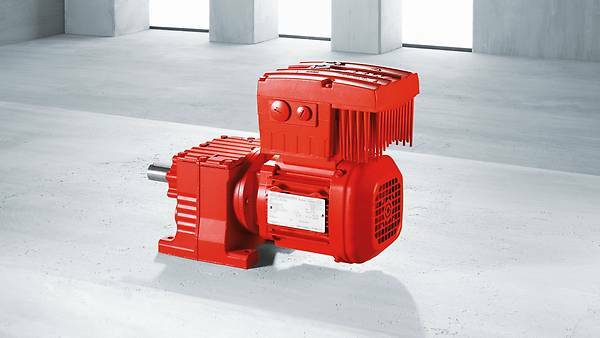 A gearmotor and a digital frequency inverter matched to your connection voltage with 380 V to 500 V or 200 V to 240 V. MOVIMOT® is the power duo for applications in the power range from 0.37 kW to 4.0 kW. Even with an integrated frequency inverter, MOVIMOT® requires only marginally more installation space than conventional gearmotors. Easy-to-use basic functions can be scaled up with a wide range of additional functions. The manual setpoint setting function allows you to easily start up the drive on site. Extended parameterization is also possible using our MOVITOOLS® MotionStudio software. Flexible connection technology with optional industrial plug connectors. Can be used worldwide thanks to country-specific approvals. The MOVIMOT® connection technology ensures fast, error-free installation. A T distributor for 400 V, 24 V and control signals is integrated into the unit. We also offer a broad range of field distributors and prefabricated hybrid cables so you can implement the ideal installation topology for any system. MOVIMOT® drives fitted with hybrid cables can be connected to a field distributor and made ready for operation in seconds. For servicing, the connector can be disconnected without any danger, even by personnel without technical expertise. The drive can be replaced and the new drive reconnected quickly. The system is ideal for all systems which demand high levels of operating availability. Our hybrid cables were developed in house and are combination cables that carry the power supply, control voltage and communication strands in one cable sheath. They also guarantee optimum EMC shielding and impedance. The pluggable motor connection enables fast replacement during servicing. Additional mechanical protection not necessary thanks to the robust solid metal housing. Permanent IP protection of the electronics. 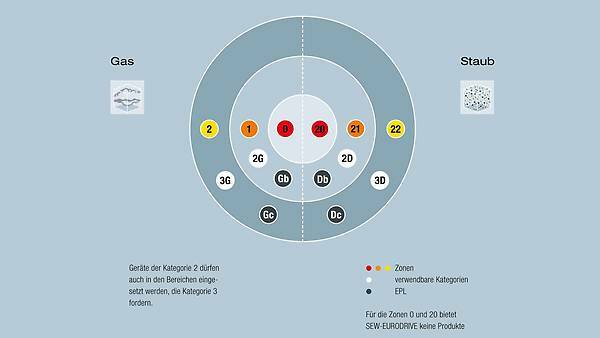 Through standardized fieldbus interfaces with all commercially available bus systems. Optimized, motor-independent cooling for use in a speed range of 300 rpm to 3000 rpm. With field distributors, rational connection of fieldbus and sensors. Directly on the motor or separately next to the drive. 2.35 – 25.5 DRS.., DRE.., DRN../DRP..
1.35 – 14.6 DRS.., DRE.., DRN../DRP..